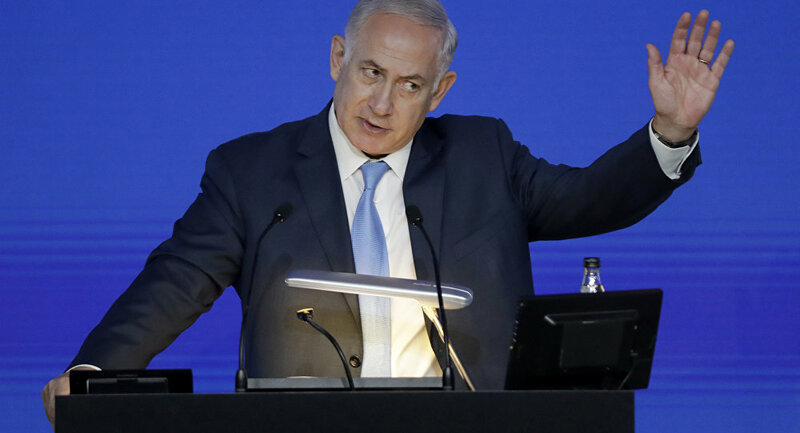 TEL AVIV (Sputnik) – Israel’s forces have demonstrated, by striking Syria powerfully, that they will continue responding to every aggressive action against their country, Israeli Prime Minister Benjamin Netanyahu said on Sunday. "Yesterday, we conducted powerful blows on Iranian and Syrian forces. We have clearly demonstrated that our policies have not changed even a bit. We will continue striking in response to every effort to hit us. This has been our policy, and it will be like that [in the future]," Netanyahu said during a government session. The prime minister praised the actions of the Israeli pilots, soldiers, and military commanders, noting the role of the General Staff Chief Gen. Gadi Eizenkot in Saturday’s Israel’s strikes on Syria. He went on by expressing content over the improving health of the two-man crew of the F-16 jet downed in a response to the Israeli attack on Saturday. The military personnel managed to eject themselves from the aircraft before it crashed in Israel. The statements were made in the wake of February 10 reports from the Israeli army about an alleged Iranian drone launched from Syria being intercepted by their helicopter. Following this attack, the Israeli Air Force (IAF) struck Iranian targets in Syria. The Israeli moves prompted retaliatory fire from the Syrian air defense systems. In the second wave of the attack, the Israeli forces struck 12 targets in Syria, including Syrian air defense batteries and Iranian military facilities, according to the country's Defense Forces (IDF). On Saturday, Israeli Armed Forces’ Chief of Staff Brig. Gen. Tomer Bar said that the military operation of the country’s air force against Syria on Saturday was "the most significant" action against the air defense of neighboring Syria for the past 36 years. Tehran called Saturday’s Israeli claims of downing an Iranian drone launched from Syria ridiculous, adding that its forces are operating in Syria at the request of the country’s legitimate government. As Tehran explained, the country maintains an "advisory, not military presence" in Syria. Russia, a guarantor of the Syrian ceasefire regime, operating in the country alongside Iran and Turkey, the two other guarantor states, condemned Israel’s attacks on Syria, noting the danger of escalating tensions around and within the Syrian de-escalation zones.